Ships today if you order in the next 15 hours 38 minutes. 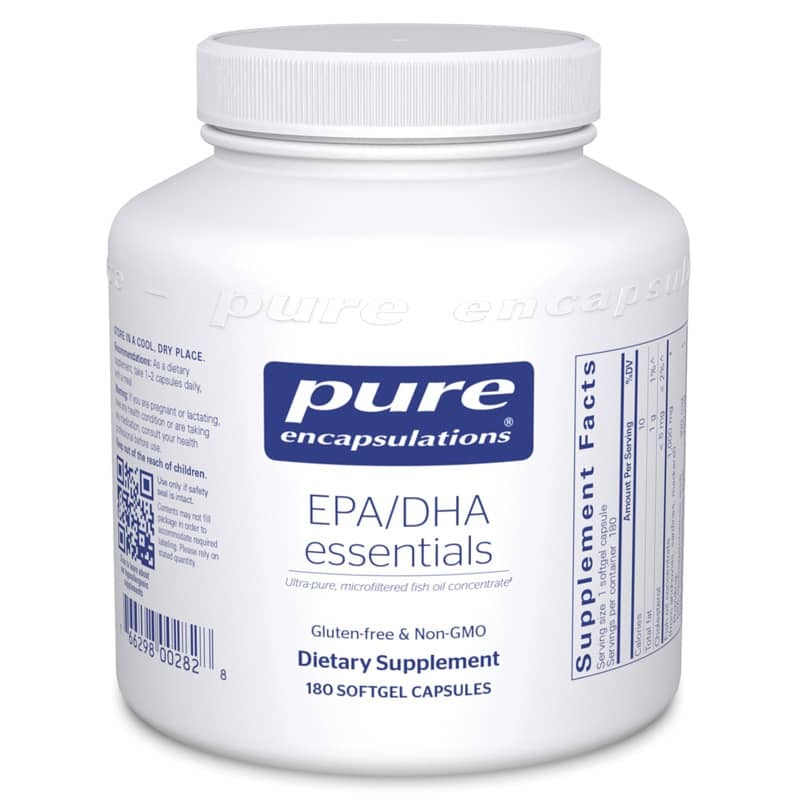 *EPA and DHA from fish oil promote cardiovascular health by supporting healthy triglyceride and lipid metabolism, maintaining healthy blood flow, and supporting healthy platelet function. Fish oil is also important for optimal joint function. It maintains healthy prostaglandin and leukotriene production, which is important for maintaining connective tissue health and comfort. Furthermore, omega-3 fatty acids are important components of neuronal cell membranes and are essential to cognitive function. By supporting vascular health, fish oils promote oxygen and nutrient delivery to the brain. Studies suggest that healthy red blood cell membrane omega-3 fatty acid concentration is associated with emotional well-being. Both epidemiological and double blind placebo-controlled trials indicate that fish oil supports positive mood. Other Ingredients: natural tocopherols, gelatin capsule (gelatin, glycerin, water). Adults: As a dietary supplement, take 2 capsules daily, in divided doses, with meals.